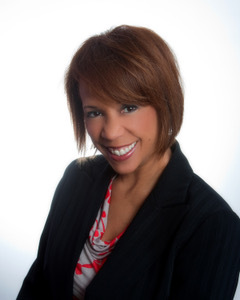 Lazetta Rainey Braxton, MBA, CFP®, is the Financial Planner for the Rest of Us. Unlike many advisors who focus only on the super-rich and 1%, Lazetta partners with everyday people who desire the financial freedom to influence, experience, give, and make a difference for their family and future generations and create wealth for the common good. As a Certified Financial Planner™ practitioner with more than 18 years’ experience in wealth management services, Lazetta offers personalized financial advice, investment management, and educational seminars to individuals, families, businesses, and institutions. In 2008, she founded Financial Fountains, a fee-only financial planning and registered investment advisory firm that serves clients from around the country. Lazetta is often sought as a financial expert for national media. She regularly contributes to financial publications and speaks on financial planning topics for national audiences and has made TV appearances on NBC Nightly News with Lester Holt, Nightly Business Report, and CNBC Closing Bell. Lazetta was named one of Investment News’ inaugural Women to Watch. She is also the a recipient of the Association of African American Financial Advisors’ Leadership Legacy Award. As an advocate of financial literacy and diversity in the financial planning profession, Lazetta serves as Chair of the Association of African American Financial Advisors (AAAFA), as well as a member of the CNBC Digital Financial Advisor Council, the CFP Board Center for Financial Planning Advisory Panel and Women’s Initiative Council, and the Foundation for Financial Planning board. René Nourse, CFP©, is the Founder and CEO of Urban Wealth Management Group. After 25 years in the traditional Brokerage space, she left Morgan Stanley in June of 2012, to launch Urban Wealth Management, LLC, to better serve her clients with a focus on Financial Planning. Recognizing that women face unique and complex financial challenges, she formed the Smart Women ~ Savvy Money Club in order to provide a supportive, secure environment where women are encouraged to learn, explore and feel confident about making financial decisions. A frequent guest speaker and blogger on the subjects of Women and Money, she has also been honored as a Five Star Wealth Manager for 2012, and 2014- 2017. Since 2013, she has been a guest contributor for CNBC’s Closing Bell Report. Career activities aside, she is active in and supports organizations that offer services and programs for women and teen girls. She is a member of Step Up Women’s Network, an Advisory Board member for EmpowHer Institute, which strives to empower marginalized teen girls to pursue higher education and City Scholars Foundation, which provides leadership development training for Executive Directors of community based after–school programs across Los Angeles County. With extensive experience in wealth management, financial planning and client advocacy; D. Crystal Alford-Cooper, CFP®, CDFA™, CRC® recently re-joined Law & Associates, Inc. to serve as Director of Financial Planning. Crystal spent over 19 years of her career in financial services at Law & Associates, Inc. and its affiliate Raymond James Financial Services, Inc. Crystal possesses a solid portfolio of career experience as a leader in life planning solutions. With a talent for organizational development and growth; Crystal leverages her passion for financial planning and strong organizational mind to deliver optimized services focused on meeting client needs and making financial planning understandable and accessible to numerous target demographics. Crystal speaks at various industry conferences and has appeared as a financial planning guest on multiple national broadcasting shows. She has also been a contributor to various financial industry publications. Crystal has been featured in the Journal of Financial Planning Magazine, as a Leader in the Profession; and was most recently welcomed into the Baltimore Community Foundation’s (BCF) Professional Advisor Recognition Society. Crystal holds an Adjunct Faculty position with Howard Community College, Columbia, Maryland. She serves on boards of the Financial Planning Association of Maryland (FPA of MD), Chair 2018, the Association of African American Financial Advisors (AAAA), Past President/Director; the Howard County Police Foundation, Director. Crystal is a graduate of Leadership Howard County’s Premier program. 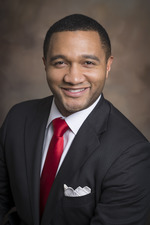 Mr. Davis has Bachelors and Masters degrees in Accounting and additional training and extensive experience in accounting, tax planning, financial planning, and financial management and investment consulting. His experience in both the public and private sectors includes several years as a Senior Consultant with a Washington, DC-based CPA firm. He also served as Assistant Director of Finance for an international labor organization, concentrating in the Caribbean and South America. He has appeared as a financial expert on many television programs and at many programs discussing financial planning and financial advisory issues. 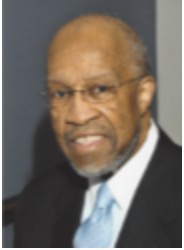 In 1970, Mr. Davis, established his own consulting firm specializing in tax planning, small business management, financial planning, financial management and investment consulting. His personal client portfolio includes national organizations, international labor unions, pension funds, individuals, small businesses, religious organizations, investment clubs, and other entities. He has served as a lecturer in Accounting at Howard University, in Washington, DC, and in Financial Management in Howard’s School of Continuing Education. He hosted the financial television program, Common Cents for station WHMM, whose call letters are now WHUT. His many professional accomplishments have been recognized by his peers and other financial experts. Tiffany Hawkins is the Head of Private Investments (PI) and Business Development for Momentum Advisors, a boutique wealth management firm with nearly $700MM under advisement. She has over 12 years of expertise in the creation, market engagement and distribution of top brands and consumer businesses, globally, and has now taken the direction toward wealth management, private equity, and business development for her clients: notable families, professional athletes, entertainers and C-suite executives. Prior to her years at Momentum Advisors, Tiffany spearheaded corporate investment strategy for consumer facing brands such as Mercedes-Benz, LVMH, Procter & Gamble, Gillette, Visa, American Cancer Society, Time Warner, Heineken USA, NBA, NFL, Beth Israel Medical Groups, MassMutual, Black & Decker; as well as, working directly for Sean “Diddy” Combs and Sean “Jay-Z” Carter. Today, Tiffany’s division at Momentum oversees tangible private equity investments vehicles, such as real estate, private business and, most notably, franchising. Tiffany oversees the operations, infrastructure, and management of each franchise opportunity. Tiffany focuses on investing in brands that have a unique value proposition and sustainable competitive advantage. Tiffany holds two Bachelors’ degree from Morgan State University specializing in Communication Studies and Statistical Research. She has served on several boards driving awareness of the lack of diversity in high-profile strategic positions. Tiffany is the co-host of a nationally syndicated radio show on SiriusXM’s Urban View (Channel 126) that focuses on wealth management, financial legacy and entrepreneurship; the name of the show is “The Momentum Advisors”. Tiffany is based out of the New York City office and does speaking engagements throughout the country. Rickie Taylor is a Regional Director for Retirement Plan Consultants (RPC). Rickie is responsible for 401(k)/Qualified Plan consulting and business development initiatives in partnership with financial advisors, CPAs, lawyers and payroll providers. RPC's retirement solution offers expertise in plan design, administration and recordkeeping services, audit ready compliance documentation, and optional 3(38) investment fiduciary services or an open architecture investment platform. Prior to joining RPC, Rickie spent over 15 years as a local Third Party Administrator. Rickie was a dedicated resource to the plans he serviced with great knowledge of the plan's operations and a one phone call attitude. Rickie started his career at New York Life Investment Management where he worked with retirement plans and was part of the marketing group for the upstart 529 plan. He presented the 529 foundations to over 300 New York Life agents. Rickie is now in the best position of his career, as he will tell you that it's all about shaking hands and kissing babies. In his spare time, Rickie enjoys cooking and working out to counter the effects of his love of cooking. Barrett Wragg is a Vice President of T. Rowe Price Associates, Inc., and T. Rowe Price Investment Services, Inc. His current role is the Southern Divisional Sales Manager in the Broker-Dealer channel of U.S. Intermediaries, where he leads a group of 11 Regional Investment Consultants (external wholesalers). Barrett has been with the company since August 2001, having had both external and internal sales positions during his tenure. He was an Internal Sales Consultant from 2001 to 2005, served as a Sales Consultant and Regional Investment Consultant from 2005 until 2016, and has been Divisional Sales Manager since April 2016. Barrett also serves as the Co-Chair of the Commercial Committee for T. Rowe Price's Multi-Cultural Business Resource Group, MOSAIC. Barrett earned a B.S. in Finance and Marketing from the University of Maryland, College Park. During his time at the University of Maryland, Barrett had three internships at T. Rowe Price through INROADS. He also is a CERTIFIED FINANCIAL PLANNER(tm) professional and is a Series 7 and 63 registered representative and a Series 24 registered principal. 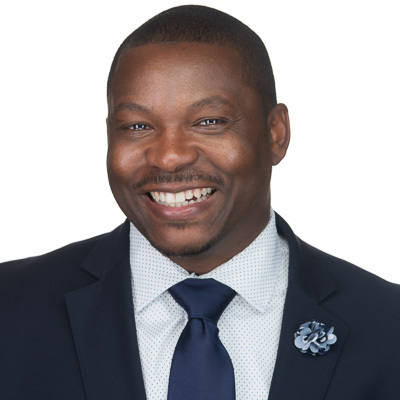 Barrett is also a member of the Speakers Bureau for the Achievement Counts program of STEMnet (formerly the Maryland Business Roundtable) and serves as an occasional speaker and local firm representative for the Community Relations department of T. Rowe Price.